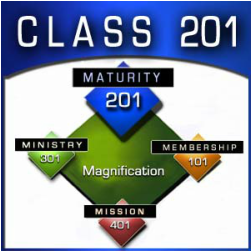 Sign-up for our CLASS 201 - Discovering Spiritual Maturity for March 21, 2015, Saturday at 2:00-7:00 pm. C.L.A.S.S. 201 is the 2nd step in the four basic C.L.A.S.S. courses of CBMBC. It focuses on the four basic habits every Christian needs to grow to spiritual maturity: Time in Gods' Word, prayer, tithing, and fellowship.